One week of the new PGA Tour season is in the books, and after Kevin Tway’s breakthrough in Napa, a talented 78-man field heads to arguably the Tour’s most exotic location of the season, Kuala Lumpur, for the ninth annual CIMB Classic. It is going to be very wet, very hot, and very sticky, so there could be a lot to consider that is not on the radar for most Tour events. Someone calling Justin Thomas the best player in the CIMB field would likely face little, if any, argument. At world No. 4, the man who spent time last season atop the Official World Golf Rankings is the field’s highest ranked player by quite a bit, with No. 18 Xander Schauffele coming next. The 25-year-old Thomas has nine career wins, but eight of those have occurred over the past two seasons, including three last year in a 2018 where he led the Tour’s money list for the second consecutive season. He has one major championship – the 2017 PGA Championship, the biggest highlight of a season where he was named the Tour’s Player of the Year. He was less relevant in the 2018 major season, but did post top-25s in three of the four, including a T6 in his championship defense in St. Louis. The University of Alabama product is worthy of extra attention from his profile alone, but what should worry the field most is that he has played TPC Kuala Lumpur very, very well. 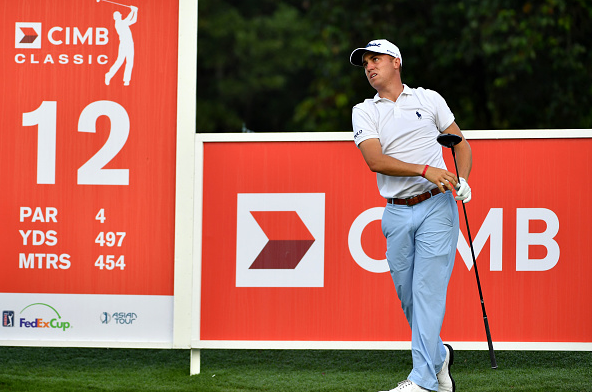 In his first attempt in Malaysia, Thomas used a second-round 61 to reach a tournament record 26-under for the week and win by a stroke over a fast-charging Adam Scott. The very next year, Thomas again finished atop the leaderboard, this time winning by three strokes over Japan’s Hideki Matsuyama. As the two-time defending champion at last year’s CIMB Classic, Thomas posted a much more modest T17, which can largely be imputed to a pedestrian 70-71 start, but he did turn things on over the weekend to finish the tournament at 11-under-par. If his opponents are hoping a weakness in Thomas’ game surfaces, they might be waiting a long time. While his 2018 was not as outright phenomenal as his 2017 season, nearly every facet of his game was clicking. Among his best stats include finishing second in strokes gained: tee-to-green, third in strokes gained: approach the green, third is scoring average, and fourth in scoring average. Among the strokes gained categories, Thomas’ worst was a 44th place finish in strokes gained: putting. He is somewhere between well above average and elite at everything. The last time we saw Thomas in action was at the Ryder Cup where, despite somehow being a Ryder Cup rookie, he was far and away the American side’s best player. Heck, it would not be wrong to say he was the only American to show a pulse. He was 4-1-0 to score a team-high four points, and he paced his side as well as could be expected in Sunday singles, where he was the first player out and knocked off European superstar Rory McIlroy. The field is not getting an out-of-form JT, which most of them would consider bad news. 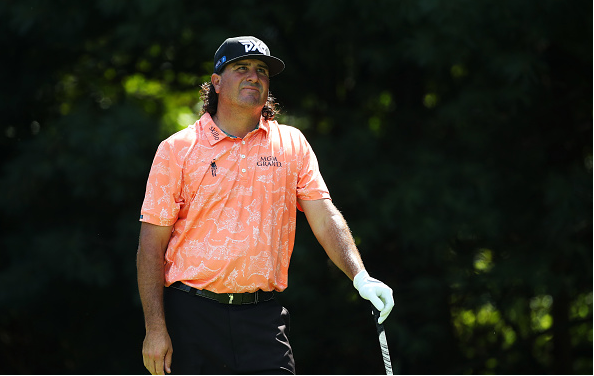 It was not terribly surprising to most people that Pat Perez won last year’s CIMB Classic, as he had shown some good form over the past year, posting six top 10s and winning the OHL Classic, an event that teed off early in the 2016-17 season. Who the win was surprising to, however, was Pat Perez himself as he’d figured TPC Kuala Lumpur was a bad fit for his game. But Perez did everything well that he could’ve in a landslide CIMB victory: he had only three birdies for the entire week, was among the best in hit fairways, he co-led the field in greens in regulation, and he putted out of his mind. It was the third win of his career, and the second since he made a remarkable comeback to the Tour from shoulder trouble. His affable, down-to-earth demeanor made the 42-year-old Arizona State product one of the most popular victors of the season. If Perez is going to go back-to-back, like Ryan Moore did in 2014 and 2015 and Justin Thomas did in 2016 and 2017, he will need to find much more form than he’s had in recent months. He obviously looked tremendous at TPC Kuala Lumpur, and stayed hot for a short time afterwards (T5 the next week at The CJ Cup, T4 at Kapalua), but since the calendar turned to 2018, he’s seen very few leaderboards. In fact, following that top-five finish at the Sentry Tournament of Champions, he failed to post another top 10 the remainder of the season, plummeting from a world ranking of 16th to 56th. Tee-to-green, Perez was mostly poor for the year, finishing 133rd in Tour in strokes gained: off-the-tee and 154th in strokes gained: tee-to-green. With TPC Kuala Lumpur having a reputation as a shotmaker’s course, the Perez we saw most of last season would not have a lot of success. Still, he is the defending champion and played well enough here at least once. Before Justin Thomas became a household name in Malaysia, a densely-populated island nation in the South Pacific, TPC Kuala Lumpur had been dominated by a different American, mid-30s UNLV product Ryan Moore. 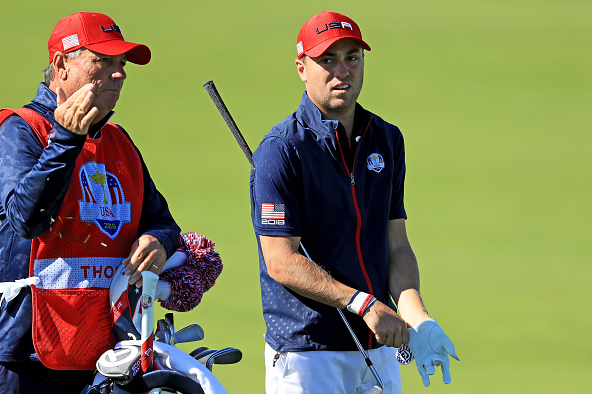 A short hitting tees-and-greens kind of player, Moore took the 2014 CIMB in a playoff over the bomber Gary Woodland, and then successfully defended that championship the following year, winning by three strokes over Woodland, Kevin Na, and Sergio Garcia. Moore then posted a T10 in the 2016 and a T17 in 2017. He sat out last year’s edition. Now, after a year off, Moore is back in the CIMB field, and he is in hot form. 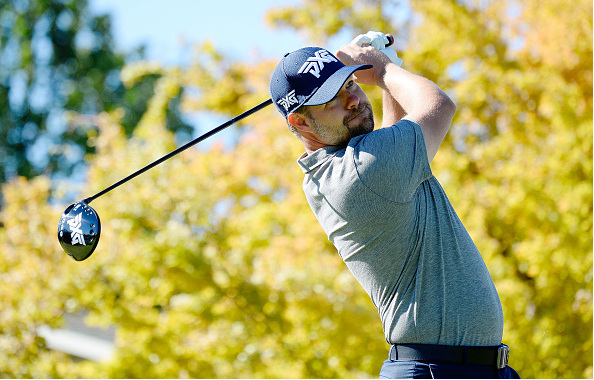 At last week’s season-starting Safeway Open, Moore was a co-runner up, using three rounds of 5-under 67 to reach a three-man playoff with Brandt Snedeker, and eventual champion Kevin Tway. There could some legitimate concern about the fatigue factor since Moore had to work so hard so late into Sunday, but that does not negate the fact the he looked really good in Napa and should be brimming with confidence. Moore led the field in driving accuracy, and with “lift, clean, and place” being instituted on the perennially-wet TPC Kuala Lumpur, he could have an enormous advantage on the field. In addition, he also finished tied for second in the field in greens in regulation. His putter was a problem last year, but for the most part, Moore’s game is undeniably ready for another CIMB run. 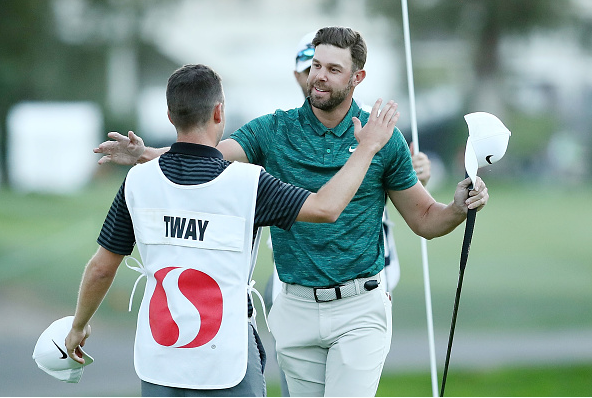 With just one tournament in the books for the 2018-19 PGA Tour season, just one player has claimed a title: Kevin Tway. The son of eight-time PGA Tour winner Bob Tway, the Oklahoma State product birdied the final two holes of regulation to force a playoff at the Safeway Open, and then birdied all three playoff holes to claim his first career victory. Tway led the field in scrambling, finished third in strokes gained: tee-to-green, and only one player in the field had fewer birdies. The 30-year-old has a history of being streaky, so coming in off a victory could be good for his chances at TPC Kuala Lumpur, but at the same time, players often see a letdown after their first career victory, so that could be a concern. Like Moore, there is also potential for fatigue, since he is coming in off a long flight after a tournament where he battled until the end. Tway had just three top-10s in 2018, with all three coming in a five-week midseason span, but he did make an impressive 24 cuts in 31 events. The strength of his game has been his length; Tway finished 13th on Tour in driving distance and 50th in strokes gained: off-the-tee. He was just 187th on the season in driving accuracy, however. He will definitely need to do better than that in Malaysia. The CIMB, which is co-sanctioned by the Asian Tour, might kickoff the Asian swing on the PGA Tour schedule, but in eight editions, the event has yet to see an Asian winner. All eight, four which have been taken by either Justin Thomas or Ryan Moore, have been American natives. The 78-man field this year is lacking the best of the best in Asia, especially since 2016 runner-up Hideki Matsuyama withdrew, but there is still some potential at TPC Kuala Lumpur for the champion to not come from TOO far away. Kiradech Aphibarnrat: Like defending champion Pat Perez, Aphibarnrat is a highly affable man who looks nothing like a professional athlete and proudly embraces his vices, so perhaps Thailand’s best golfer has a shot this week. The 29-year-old who sits at No. 37 in the world rankings flashed early last year, posting T5s in both March WGC events, and he won two early-season events in Asia. 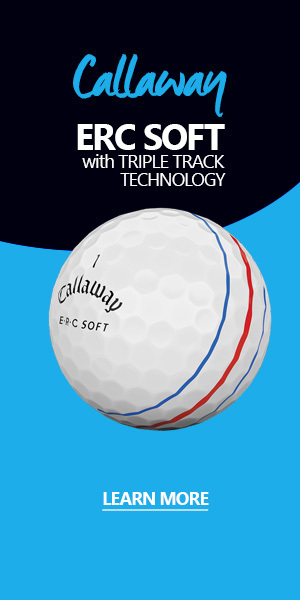 However, he has been ice cold since a 15th place finish at the U.S. Open, failing to place inside the top 30 anywhere. 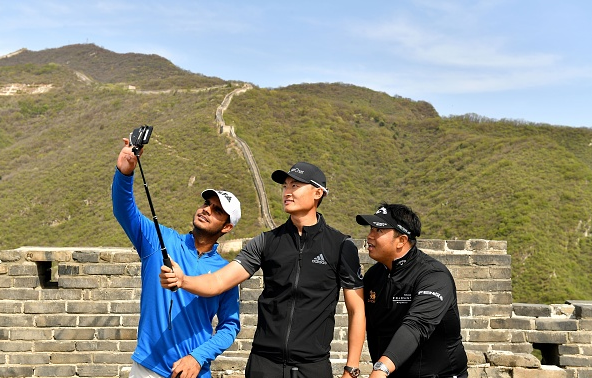 Shubhankar Sharma: India’s highest-ranked golfer, Sharma is another player who has not shown exceptional form as of late, with four missed cuts and a T42 in his last five starts worldwide, but he is just 22 years old and has undeniable talent. His best outing on the PGA Tour last year was a T9 at the WGC-Mexico Championship, where he finished T9 and held the 36-hole lead. The two-time winner in Europe is likely to break out soon; could it be this week? Anirban Lahiri: It is kind of surprising that India’s Lahiri got into this year’s field as an alternate, given his success at TPC Kuala Lumpur, finishing T10 last year and T3 the year prior. One of his career victories, the European Tour’s 2015 Maybank Malaysian Open, also occurred on this course, showing a considerable level of comfort. Like Aphibarnrat, however, Lahiri is missing his best form as of late; in his last four starts worldwide, he has three missed cuts and a T71. Si Woo Kim: Just 23 years of age, former PLAYERS Champion Kim from South Korea failed to notch a victory for the third consecutive season, but he was much more consistent in 2018, making 23 cuts in 31 events and posting five top 10s. His putting was abysmal again this past season, but he did improve tremendously around the greens, which at least gave him shorter putts to miss. He was 77th out of 78 players at last year’s CIMB, but finished T10 the year prior. C.T. Pan: A native of Chinese Taipei, the 26-year-old flashed late in the PGA Tour season, finishing T2 at the Wyndham Championship and T4 at the Dell Technologies Championship, the second leg of the FedExCup playoffs. Pan is exceptionally accurate, finishing 6th for the year in driving accuracy, and 13th in greens in regulation, a good recipe for success on this course.